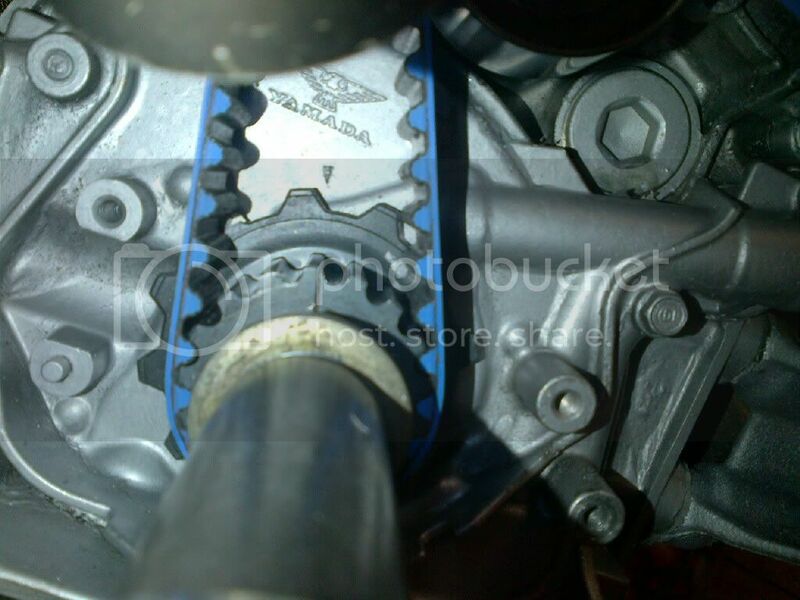 The timing belt drive gear has a mark on it that lines up with an arrow on the oil pump for TDC. That is how I set mechanical timing when installing a timing belt. Then there are marks on both cam gears that should sit horizontal. They would be at the 90* and 270* points on the gears. The arrows on stock gears should point up. You should be able to take a straight edge and it will run across all 4 lines on the cam gears. Sorry I HAD to bust your balls. I bust my own balls every time I do timing on an engine anymore. That is still up there in my realm of WTF moments working on Honda's.